For an eCommerce business, choosing a platform is a significant decision with long-term effects for your online business’s scalability and growth. It can be hard to foresee issues your eCommerce platform may give you down the line, but picking the wrong platform could end up costing you thousands of dollars and countless hours of wasted time down the line. Hiring a team of expert digital marketers will allows you to take a step back and watch the magic happen. No need to hover over and oversee the work being done if you hire a company that is a certified partner of the e-commerce platform of your choosing. An Ecommerce Platform is a software application that enables a business to manage their online sales, operations, and website from one centralized location. An ecommerce platform is your online storefront as well as managing backend functions such as shipping, order management, CMS, inventory management, and customer service. Choosing the right ecommerce platform is critical to your success. 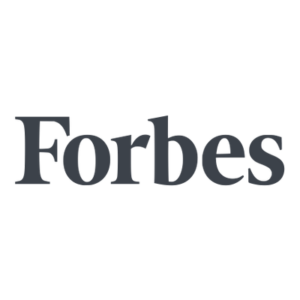 Making the wrong decision on which third-party medium to build your business is a mistake that could cost you thousands of dollars in the long run. BigCommerce has been making waves in the eCommerce community as one of the most flexible, reliable, and innovative platforms available. Although it is a relatively new platform, BigCommerce has already established itself as a market leader in eCommerce software. BigCommerce’s seamless payment gateways, built-in marketing features, intuitive back-end interface, and 24/7 customer support has made it one of the most robust platforms to-date. This makes BigCommerce a viable choice for companies of all sizes. Shopify has become synonymous with eCommerce, and for good reason. In the past few years, Shopify has become one of the most popular eCommerce Platforms for small-businesses to large companies alike. Shopify offers an easy to use page builder with hundreds of built-in apps and features for your online store to improve user experience. Their advanced inventory management system, multi-channel integration, and features such as abandoned cart recovery make this one of the most attractive options when it comes to an eCommerce Platform. Created in 1999, Volusion is one of the first eCommerce platforms ever built and offers some of the most advanced inventory and analytics options out of any eCommerce solution. What Volusion lacks in design capabilities, it makes up for in powerful inventory management options, unlimited product options, and multiple checkout options make it an e-commerce platform many find enjoyable to use. Need help with any of these eCommerce Platforms? VTex is a cloud based eCommerce platform that provides omni-channel solutions to their clients. The platform has high popularity among B2B, B2C, B2E, and B2B2C operations due to the single code model they have adopted. This model is capable of providing innovative designs and multiple extensions to these businesses. Another major selling point of VTex is the availability of 90% functionalities built in the system. VTex also makes it easy for developers to add any other custom functionality to your website. With the highest level of PCI compliance, your company can see an increase in online sales on an ultra secure hosting provider. Since it’s launch in 2008, Magento has gained traction through versatile marketing tools and focus on mobile eCommerce. The open-source platform is equipped with customizable features, optimization tools, and multi- store availability. Magento supports both OOP and MVC architecture, making it easier for web developers to add their customization to your e-commerce store site. Magento’s order processing integration, full-control hosting, enterprise- grade flexibility, and more makes it an e-commerce platform worth learning more about. Easy setup, fast site hosting, and impressive features all make 3DCart one of the most popular options with over 17,000 merchants served. 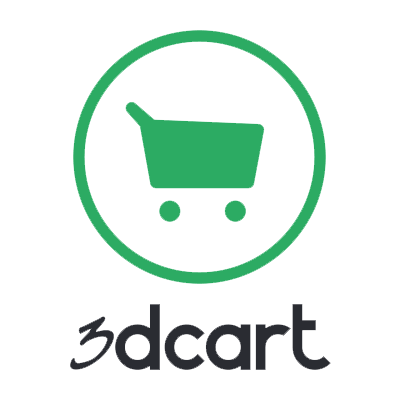 3DCart is also one of the most affordable options offering no transaction fees and unlimited product listings. 3DCart claims to be the best eCommerce software for SEO. While that claim is debatable, 3DCart does boast fast site speeds on both mobile and desktop as well as out-of-the-box features that improve user experience. Need help building the website of your dreams? Optimum7’s design team has been creating custom e-commerce websites with great results. Whether you need to build your website from scratch or just need to give it a modern makeover, we have the tools and experience to exceed your goals. Is there a certain feature, integration, or functionality your current platform doesn’t support that your website can’t live without? We have built literally thousands of custom functionalities for ecommerce stores to help make their vision come true. With any e-commerce platform you choose you will to incorporate digital marketing efforts to grow your intended website traffic. Optimum7 has expertise to create a comprehensive digital marketing strategy that makes sense for your business and budget. Performing an e-commerce platform migration is a complex and time-consuming task. Hiring skilled developers to make the migration will allow you to watch the transfer happen with the peace of mind of knowing it will be done smoothly and without data loss. With more than 53% of online business coming from mobile, you want to make sure your e-commerce store is optimized for mobile users. Customize your online store with mobile friendly design, widgets, and apps to take full advantage of your mobile traffic. Shopify is a favorite for businesses selling clothing, furniture, and digital items because of it’s extensive app store. This store provides Shopify customers with customizable apps you can add to your website design to increase conversions and sales. As a small business owner, you most likely expect your business to expand as the years go by. With BigCommerce, you have a flexible, scalable, and easy to use platform right at your finger tips. Design your small business e-commerce store with your customers in mind by easily adding custom functionalities to your online store website. What Should I look for in an Ecommerce Platform? Are my mobile users going to be able to navigate my site? What payment plan can I afford? How much security does the platform provide? Will I have 24/7 customer service? How easy is it to add customizations? Do I have unlimited bandwidth? After you have answered these question, you will have a direct idea of what business would be like using certain eCommerce platforms. Not all eCommerce platforms are for every industry, make sure to do you research to make sure the one you choose is the best for your company specifically. How Do I Change Ecommerce Platforms? Ecommerce platforms are built with loads of data on the backend, when migrating it is easy to make mistakes transferring data from one platform to another. These mistakes can cause your e-commerce website to plummet on SERP’s and decrease your domain authority. At Optimum7 we have a team of highly skilled developers with over 10 years of experience migrating all major e-commerce platforms. Professional developers can automate the migration process and take the necessary precautions to prevent 404, 403, and 501 error pages from occurring. In order to migrate from one platform to another you must transfer product descriptions, customer information, coupon information, product reviews, and possibly credit card information as well. Our team of SEO expert marketers can optimize your e-commerce store when making the migration to increase traffic, sales, and revenue. How Much Does it Cost to Start an Online Store? …are just a few factors to think about when developing a strategic plan for your e-commerce online store. Narrow down what is most important to you and how you plan to organize these costs. Do you want to hire a digital marketing agency to do the heavy lifting? Or, do you want to take on this project yourself and train yourself to do all the backend aspects of building a website? Optimum7’s in-house team of designers, strategists, and developers are standing by to help maximize your eCommerce Store’s potential. Reach out to us today and we’ll tell you how to make your eCommerce store exceed your goals.